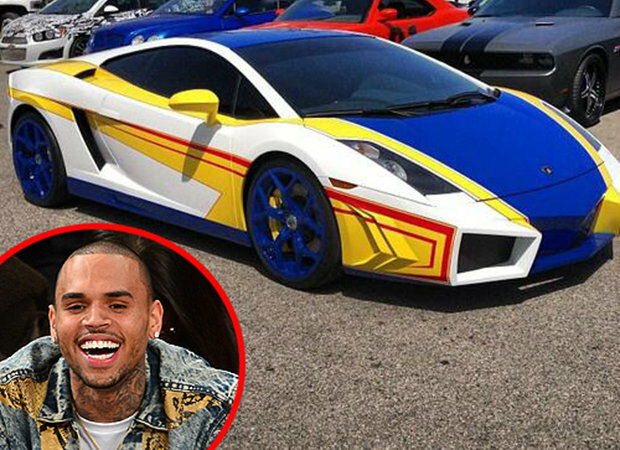 The Splurge: A Lamborghini Gallardo V10 Chris Brown has had customized to look like a Hot Wheels toy car. Why It's Completely Over-the-Top: Because it's a Lamborghini! "This is not a car you have a need for, it's a car you have a desire for," says Davy. "It's a going out to dinner or to the club car." Lamborghinis have a unique Formula 1-style "paddle-shift" gear box located at the steering wheel, to give drivers more of a race car experience. They go from from 0 to 62 mph in less than four seconds and top out at just over 200 miles per hour.